Young hero Sai Dharam Tej is slowly but steadily climbing the success ladder in Tollywood and is giving hit after hit. 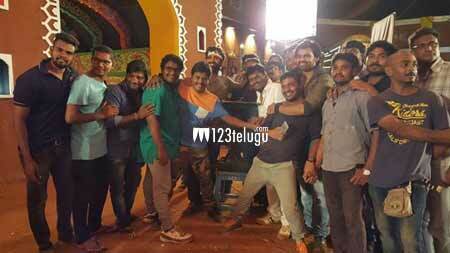 He is currently busy shooting for his upcoming film Thikka and latest update reveals that the talkie part of the film has been wrapped up today. Some songs are yet to be shot for this film for which the post production formalities have already begun. Already, the intriguing first look of the film has created a superb buzz for Thikka. Directed by Sunil Reddy, this film has Mannara Chopra as the female lead.